Zucchini's Crafty Weekend was the last event that I had to cover for the Boyne Valley Food Series and what a way to end it! 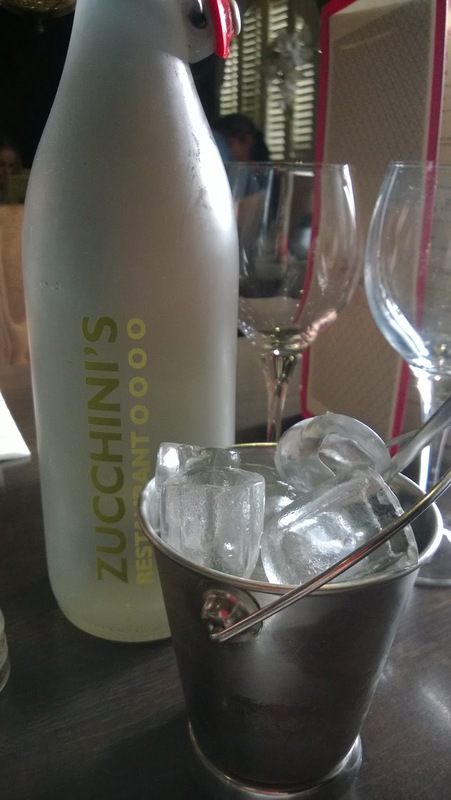 I had never heard about Zucchinis which is only up the road from me in Navan. They have been in business for ten years so I blame himself more seeing as he grew up around here! We visited on Sunday afternoon with the SnuggleMonkey in tow. It's clear that it is a regular venue for a lot of families and I can see why. 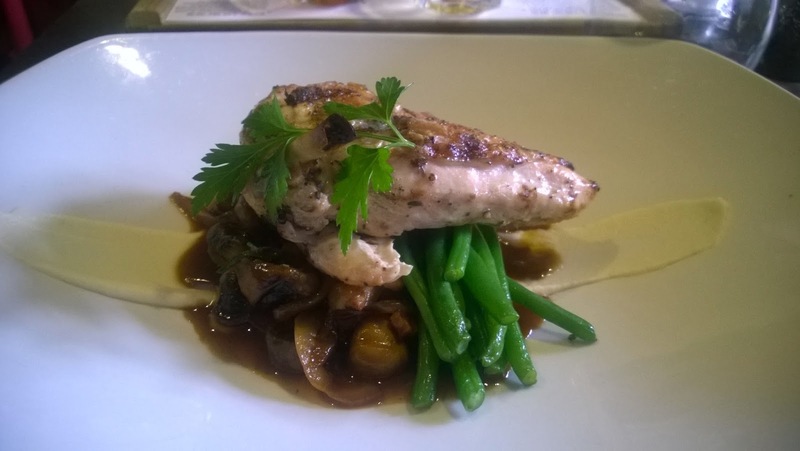 It's comfortable, there is loads of space and the Sunday menu is extremely good value. There is also loads of parking close by so no need to bring a buggy as you wouldn't get it up the stairs anyway! We had two menus to choose from the early bird and the A la carte so we decided to get something from each. They also had a third menu for the weekend which listed the craft beers and food pairings. The craft beer menu is extensive enough and they also had a tasting platter of Boyne Valley Beers available which we decided to go with. 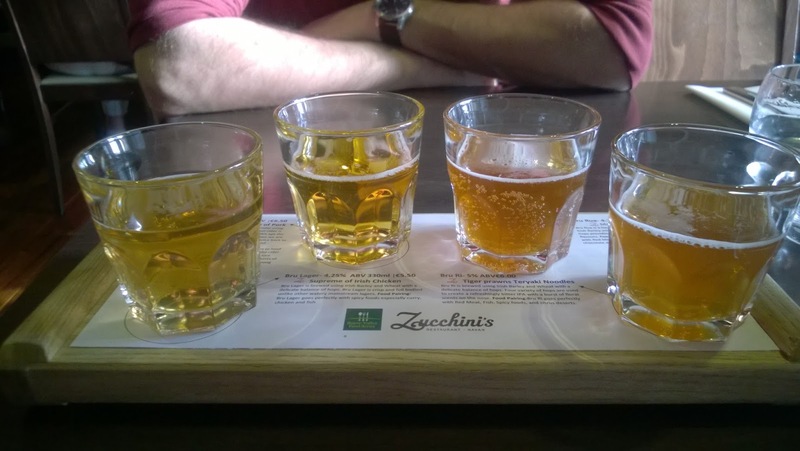 The beer platter consisted of a Brú Rua, Brú Lager, Brú Ri and Dan Kelly's Cider. For starters we choose the deep fried brie and the loaded potato skins. The potato skins were stuffed with Knockanore smoked Irish cheese & bacon and served with sour cream and they were delicious! 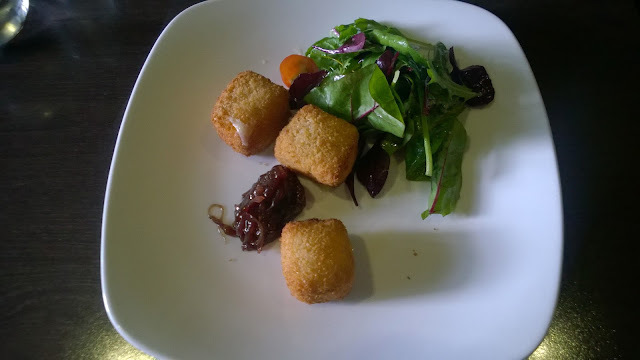 Himself had a bit of food envy though his brie was soft, runny and warm and was a perfectly lovely dish. 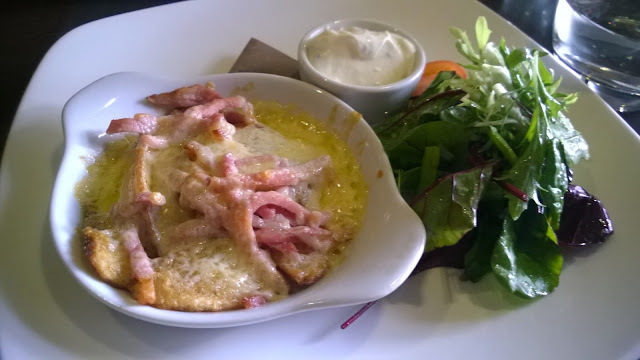 The potato skins were just that bit different. For mains himself went for the duck with black pudding cigars and I went for the chargrilled chicken with smoked pancetta. The lager on the tasting platter complemented the chicken while he ordered a Kinsale porter which matched the duck wonderfully. Even after eating all this we still managed to find room for dessert and I was so glad that we did. 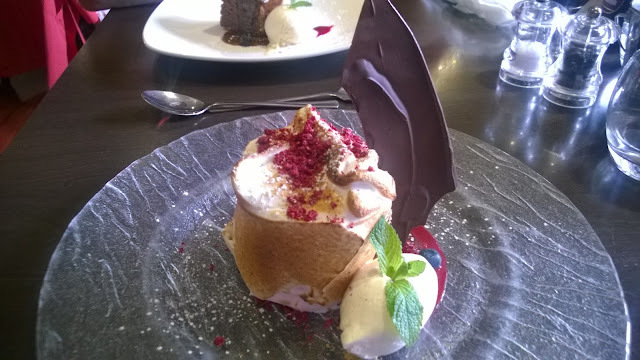 I choose the Raspberry Baked Alaska. This was something my grandmother used to make me so it brought back great memories. It is never on menus enough! 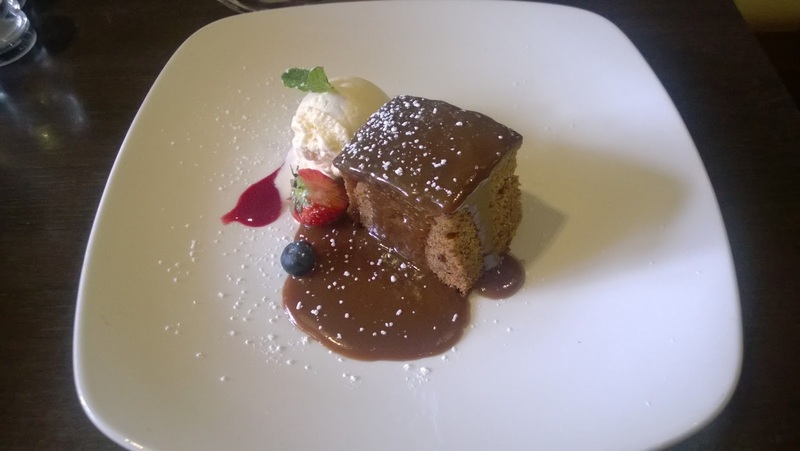 Himself went for the Sticky Toffee pudding with butterscotch sauce. We were well and truly full went we left! Zucchini's crafty weekend was a great event and introduced people to different food pairings with beer. I think something that would have been really nice would have been to give people who ordered one of the courses with a matching beer, a small taster glass of it so that people could sample it without having to order a bottle if they did not want to. I would guess that on their next visit they may order a bottle! Zucchini's was a perfect way to finish off my involvement in the Boyne Valley Food Series for this year and once again I have discovered and shared with you the gems that exist in the area that you may not have known about! Hopefully you will find the time to visit these places and experience them for yourself. I am already looking forward to the Boyne Valley Food Series 2016! 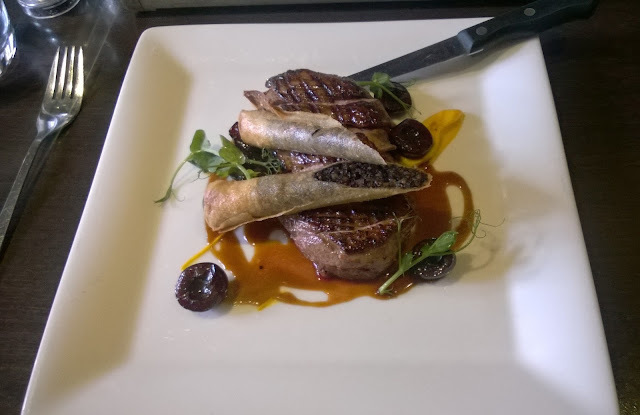 Disclaimer: I am an official blogger for the Boyne Valley Food Series 2015. I was invited to attend this event and did so for free. All reviews and opinions are my own. Unless noted, all images and words are the property of Kathryn Laing & The Purple Page Ireland. Picture Window theme. Powered by Blogger.